A Ninja Warrior is a spy with great stealth and agility. 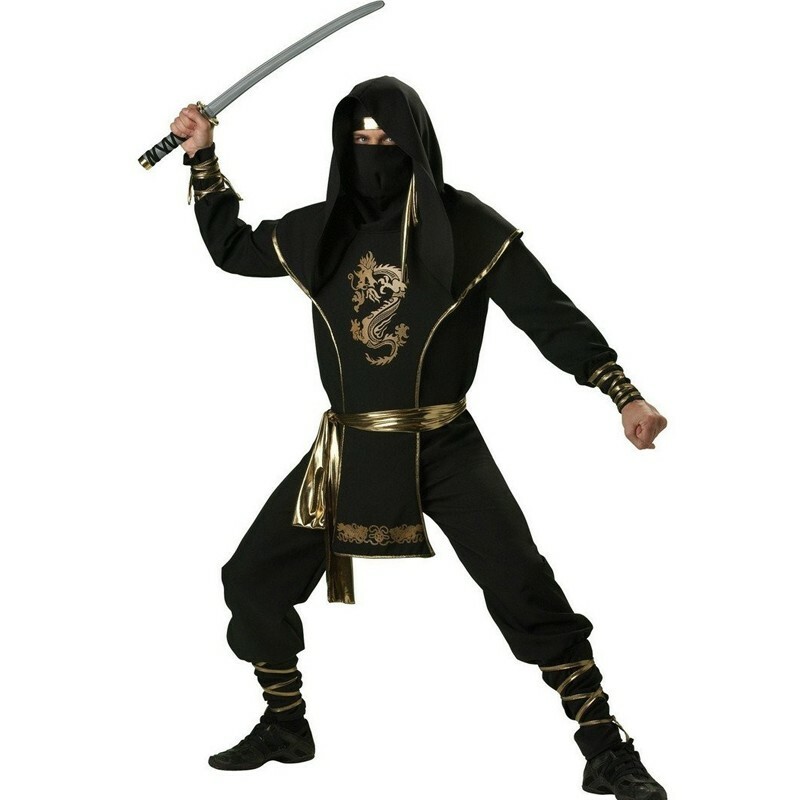 This stealthy, fully-finished costume includes a black shirt and pants with gold ties on cuffs; black hooded tunic with a gold dragon emblem; black face mask headband; and a gold waist sash. It will be difficult to go undetected as you pursue a night full of danger and excitement when you appear wearing this amazing Ninja Warrior costume from our Elite Collection.